Here’s what’s happening at Frugal Festival Food! on June 25 in Canoga Park. Scroll down for a list of on-going activities. Organizing coupons is not my strong point and I’m guessing plenty of others dread this regular task. The Coupon Wallet Organizer makes this job easier, which is why I’m thrilled to announce we are giving away 25 The Coupon Wallet Basic Organizers at Frugal Festival Food! To win one, buy a ticket to Frugal Festival Food! Your admission ticket gets you a reusable grocery bag filled with SWAG, including one raffle ticket. 8″ wide by 4″ high expands to hold up to 600 coupons! You’ll also be able to purchase The Coupon Wallet Organizer in person at the Festival. Basic models are $12.95 and the Deluxe organizer is $19.95. Win a Pyrex + Chicago Cutlery raffle prize worth $250! Win this prize at Frugal Festival Food! You are going to looooove this raffle prize being given away at Frugal Festival Food! on Saturday, June 25, 2011!!! Pyrex and Chicago Cutlery have teamed up to donate a raffle prize package worth more than $250. Hot dang! For a chance to win this prize, get your ticket to Frugal Festival Food! Admission includes one free raffle ticket! Tip: Get $5 off your ticket by bringing a canned good to donate to the Los Angeles Regional Food Bank the day of the Festival. 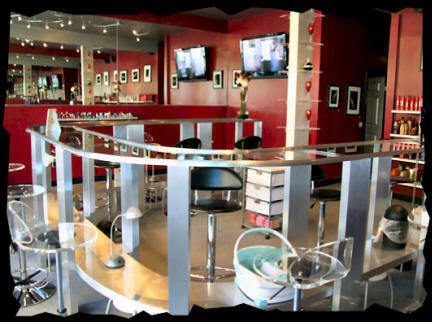 Win a Free Manicure at Frugal Fe$t! You read that right: if you come swap with us next Saturday, June 19, at the Frugal Fe$t, you’ll be automatically entered to win a gift certificate for a FREE manicure. How cool is that? Swap closed to the public while we sort & beautify the swap space, making it easier to shop the swap and find those new-to-you treasures. Swap ’til you drop! VIP ticket holders move to the front of the line, and when we open the doors, it’s a mad dash to find your those dreamy swap scores. DJ Andie Cassette will be spinning records and providing an indie rock backdrop of beats while you sift through the swap for the best stuff. At 2 p.m., we’ll start the raffle (exclusively for ticket-holders) and will open up the swap FREE to the public. Can’t wait to swap with you next Saturday! Oh, and if you know any business owners in the NoHo Arts District who you think also need a place on our sweet Swap Map, please send them our way, or leave us a note in the comments and we’ll reach out!